SENSA is simple and clean one page portfolio WordPress theme. It’s perfect for any designer, photographer, illustrator, creative person or agency. 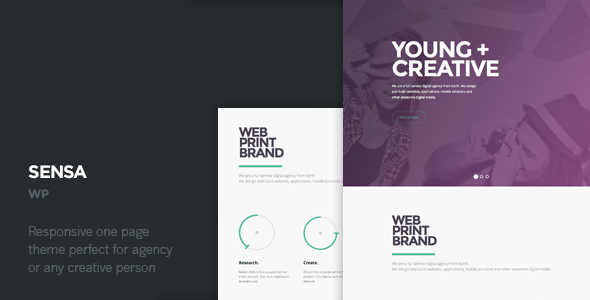 Focus is on displaying a high quality portfolio, large typo presented in a really elegant way. Item Reviewed: Sensa - One Page Responsive WordPress Theme 9 out of 10 based on 10 ratings. 9 user reviews.